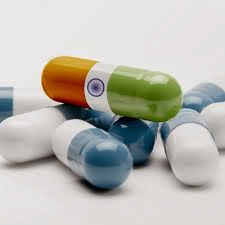 About Company : Established in the year 1924 in India GlaxoSmithKline Pharmaceuticals Ltd. (GSK Rx India) is one of the oldest pharmaceuticals company. At GSK, our mission is to improve the quality of life by enabling people to do more, feel better and live longer. About Company : Cipla was established in 1935 with the vision of making India self-reliant and self-sufficient in healthcare. Today, we are one of the world’s largest generic pharmaceutical companies with a presence in over 170 countries. We are renowned for making affordable, world-class medicines that meet the needs of patients across therapies. About Company : Bayer is a global enterprise with core competencies in the fields of health care, nutrition and high-tech materials. Our products and services are designed to benefit people and improve their quality of life. At the same time we want to create value through innovation, growth and high earning power..
About Company : Sun Pharmaceutical Industries Limited is an Indian global pharmaceutical company headquartered in Mumbai, Maharashtra that manufactures and sells pharmaceutical formulations and active pharmaceutical ingredients (APIs) primarily in India and the United States. About Company : Caring for the world, one person at a time. inspires and unites the people of Johnson & Johnson. We embrace research and science - bringing innovative ideas, products and services to advance the health and well-being of people. Employees of the Johnson & Johnson Family of Companies work with partners in health care to touch the lives of over a billion people every day, throughout the world. About Company : The Piramal Group is a diversified conglomerate with operations in over 30 countries and brand-presence across 100 markets around the world. Since the late 1980s, the Piramal Group evolved from a textile-centric business to a diversified . About Company : Novartis (NYSE: NVS) is a world leader in the research and development of products to protect and improve health and well-being. The company has core businesses in pharmaceuticals, vaccines, consumer health, generics, eye care and animal health. About Company : Abbott Laboratories is an American global pharmaceuticals and health care products company. It has 90,000 employees and operates in over 130 countries. The company headquarters are in Abbott Park, North Chicago, Illinois. The company was founded by Chicago physician Wallace Calvin Abbott in 1888. In 2010, Abbott had over $35 billion in revenue. About Company : For more than 60 years, Ipca has been partnering healthcare globally in over 110 countries and in markets as diverse as Africa, Asia, Australia, Europe and the US.